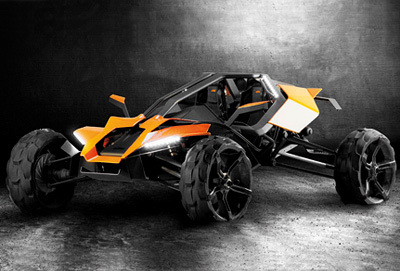 The KTM AX was a concept created by students and staff at FH Joanneum University in Austria. The AX was one of six concepts created by the university in collaboration with KTM, the Austrian motorcycle and sportscar manufacturer. 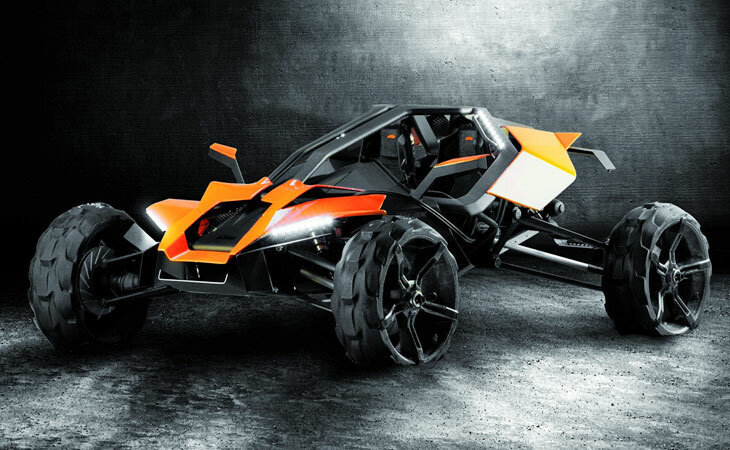 Designed by Markus Klug and Lukas Fuchs, the KTM AX is a radical off-road vehicle which uses the experience KTM has building successful motocross bikes and translates it into a four-wheeled vehicle. 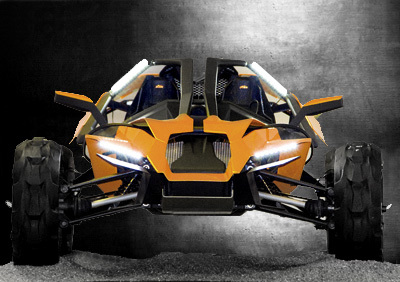 The AX also uses the purist nature of the KTM X-Bow as inspiration for the angular and minimalist bodywork. 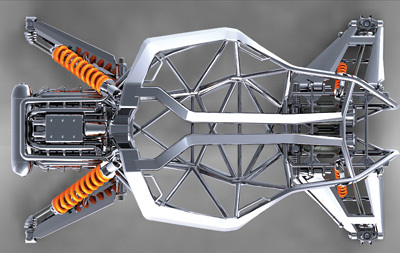 Powering the KTM AX is a hybrid propulsion system which utilizes four in-wheel electric motors to drive the wheels. With individually steerable wheels, massive ground clearance, reinforced tires and long travel suspension the AX would offer superb off-road capability and agility. The frame of the KTM AX consists of a lightweight spaceframe structure into which the individual components are placed. The built in rollover protection is an additional safety feature for the two occupants.